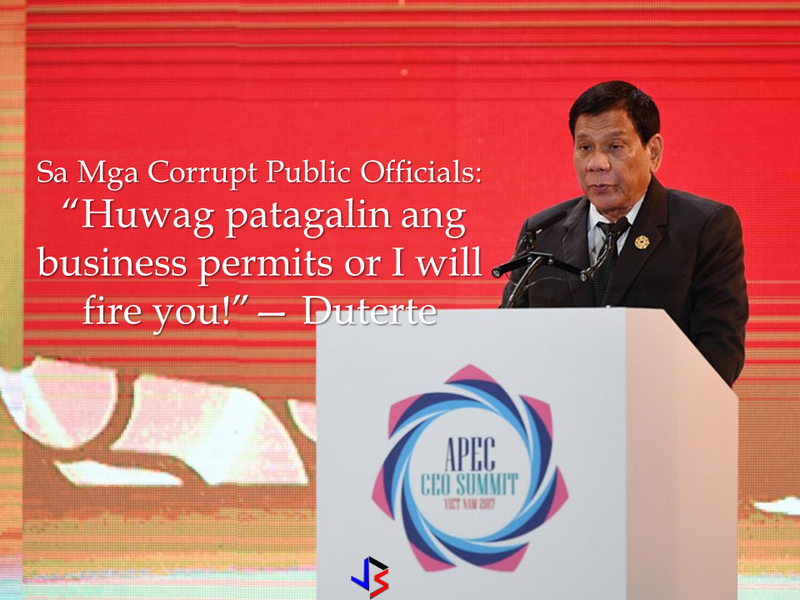 During His arrival speech at the NAIA from APEC summit in Vietnam, President Rodrigo Duterte warned that he will fire corrupt government officials who withhold micro, small and medium enterprises (MSMEs) issuance of business permits . 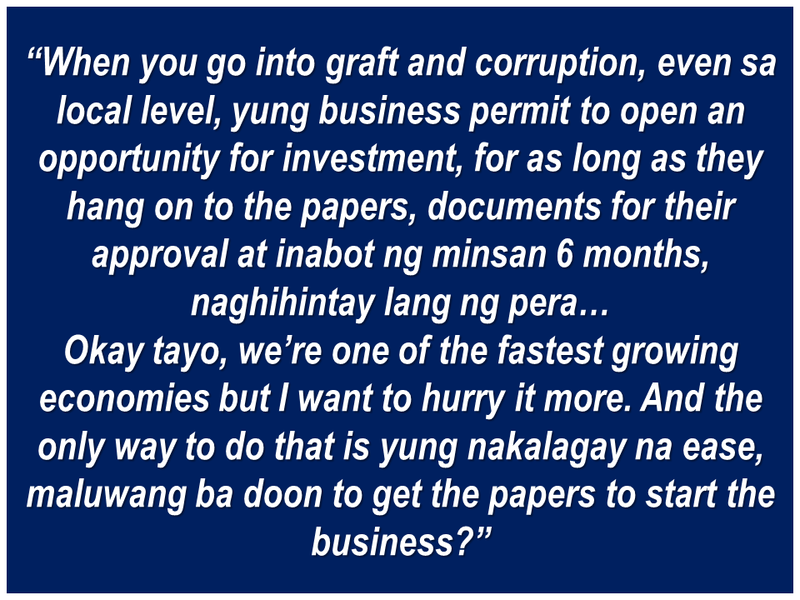 President Duterte said that the growth of the economy is being hindered by corrupt local executives and cabinet members by delaying the issuance of business permits for MSMEs. 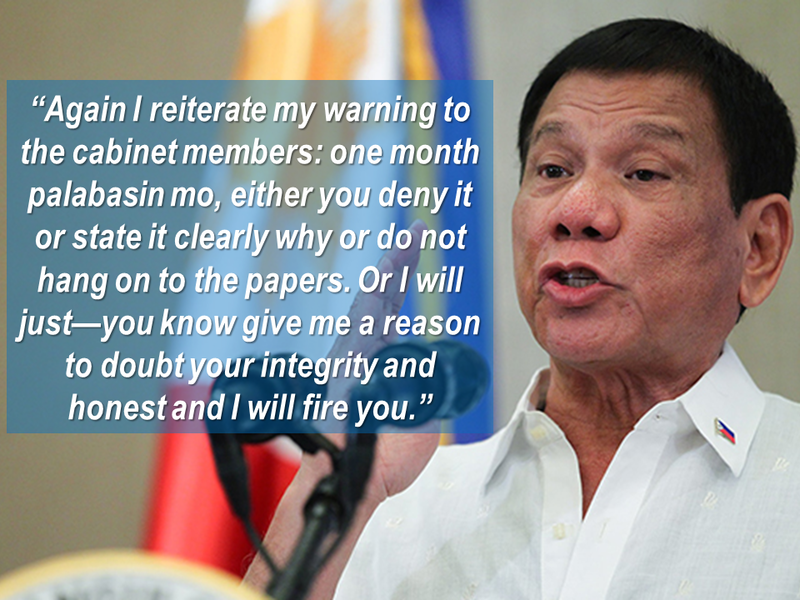 Last month, President Duterte signed an executive order creating the Presidential Anti-Corruption Commission to get rid of corrupt public officials. Executive Order No. 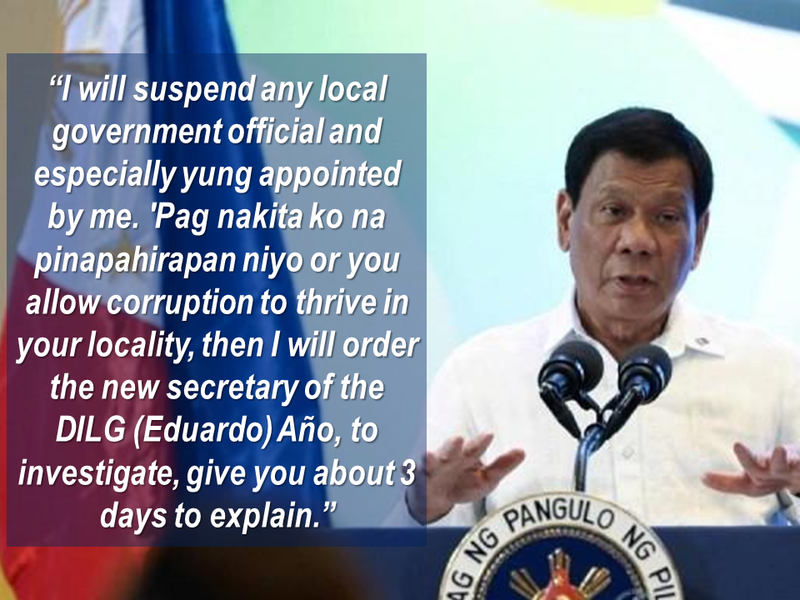 43 creates a commission to directly assist the President in investigating and/or hearing administrative cases involving graft and corruption cases against all presidential appointees.